Becoming a millionaire is actually very simple—just not easy. If you started from zero, then maximized your 401(k) contributions, adding $18,000 each year, you would be a millionaire in 23 years, given a 7% annual return. (Note that the maximum contribution amount could change in the future—and if you’re already over age 50, you can add $6000 extra per year as a “catch-up” contribution.) If you do not have access to a workplace retirement plan, no problem, you can still save for your $1 million goal on your own with pre-tax and post-tax accounts. Not becoming a millionaire is far easier, as you may have suspected. However, it’s still valuable to know a few saving “don’ts” to make sure you do not fall into these traps as you accumulate wealth. Be careful not to take on too much risk. An inexperienced investor could very easily select an allocation which exposes them to excessive levels of risk. Don’t be lured in by the potential of high returns without evaluating the downside potential that goes with it. Remember, there is a direct correlation between risk and reward. Conversely, avoid taking on too little risk! Investing too conservatively can mean that your portfolio doesn’t experience enough growth to meet your goals. It is wise to avoid extremes of market euphoria or pessimism—instead, focus on factors within your control, such as saving, minimizing investment costs, and making sure to rebalance the portfolio regularly. Be careful of doubling down on ‘company specific’ risk. Your employer is already responsible for paying your salary. Investing large amounts in company stock within your 401(k) plan (if this is an option) means you are putting a lot of eggs in the company basket. Don’t buy and sell frequently based on personal whims or market conditions. Implement a disciplined and well-diversified allocation. Don’t react to short-term market trends. Avoid taking loans, or worse, early withdrawals from your 401(k). Make sure to plan for other aspects of your financial life such as potential emergencies, college savings, etc.—and avoid the opportunity cost and hefty tax penalties that come with taking money early from your 401(k). Be aware of how fees erode returns. Minimizing investment costs is a staple for long term investment success. Remember when $1 million isn’t actually $1 million. 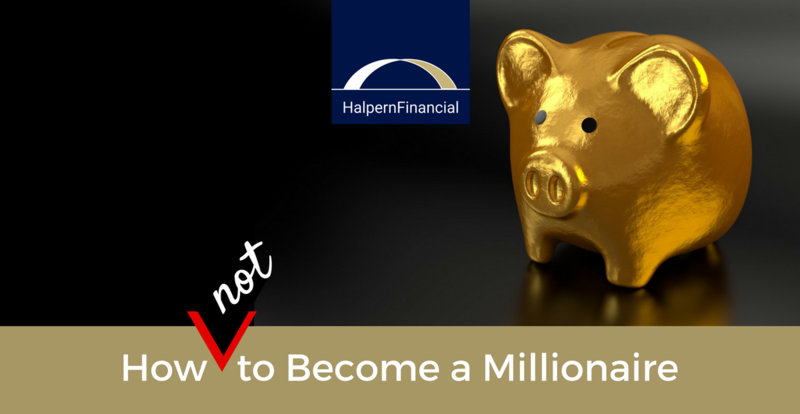 In a tax deferred account (such as a workplace 401(k)), a $1 million balance doesn’t mean you actually have $1 million. Until withdrawal, you have not paid taxes on that money yet. That can be an unpleasant realization for people! Uncle Sam is your partner in your plan and owns about one-third of its balance. This is why it is so important to save in both tax-deferred and after-tax accounts. Don’t forget about old plans! You might not think you would ever forget about thousands of dollars, but it happens frequently. There is approximately $1 trillion in ‘orphaned’ retirement plans. A common scenario is when an employee leaves their place of work, maybe didn’t realize their employer had contributed money on their behalf, moves a couple of times and doesn’t update their address….and the statements stop following them. Don’t leave money on the table! The bottom line is simply avoiding costly problems puts you ahead. Just like a marathon runner putting one foot in front of the other, if you establish a positive “training” (or saving) routine, eventually you will find yourself crossing the finish line as a result. Perhaps for you that means a certain “retirement number” (whether that is $1 million or $10 million). Perhaps it means sending your kids to college debt-free, or a feeling of ease and confidence in your financial life. It’s a lot easier to be a couch potato than it is to achieve a major financial goal. But once you take that first step, you may find that the path is pretty straightforward as long as you avoid the potholes!